Foil 9ft party banner. Design is repeated 3 times so can be used as one large banner or 3 small banners. Could also be used as a sash. 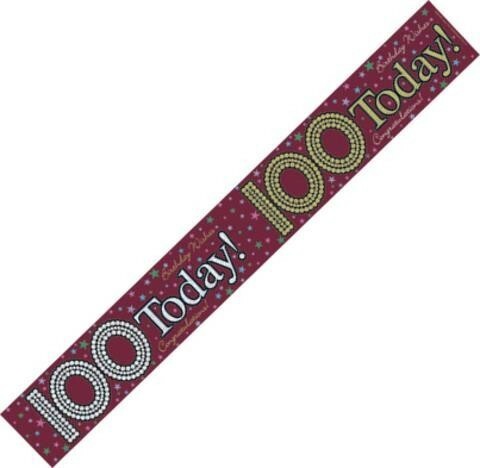 Burgundy holographic banner has '100 Birthday Today' in the centre surrounded by multicoloured stars. Unisex design.